Wash Park Run with your Dogs at Washington Park, Denver, Colorado The Furry Scurry! Join thousands of certified animal lovers for a two-mile walk to benefit homeless pets at the Dumb Friends League on May 3 in Denver’s Washington Park. The Furry Scurry is not only fun, it’s a locally grown Denver tradition. 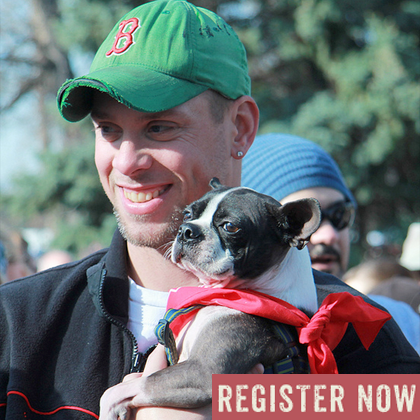 Be Colorado proud—and be part of the largest walk for animals in the nation! Be a hero for local pets! When you walk in the Furry Scurry, you make a difference for thousands of homeless pets. The money you raise helps provide vital medical care and behavior training so they can find loving, forever homes. Registration is easyand includes an official event T-shirt! Build a team of heroes! Did you know that the registration fees for a team with six members pays for the care of one homeless pet? 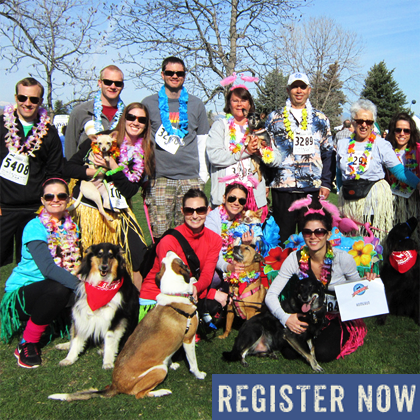 Join a team or register as a Team Captain, then recruit your pet-loving friends, family and co-workers to help make a big difference for Colorado's pets! Happy tales are possible because of you! Funds raised at the Furry Scurry provide vital medical care to injured and abused animals throughout the year. Max, a 1 year-old boxer mix who lost his leg due to an injury, is living comfortably in his forever home thanks to your participation.Watch his courageous journey.